Winchester just unveiled a completely updated website at Winchester.com. 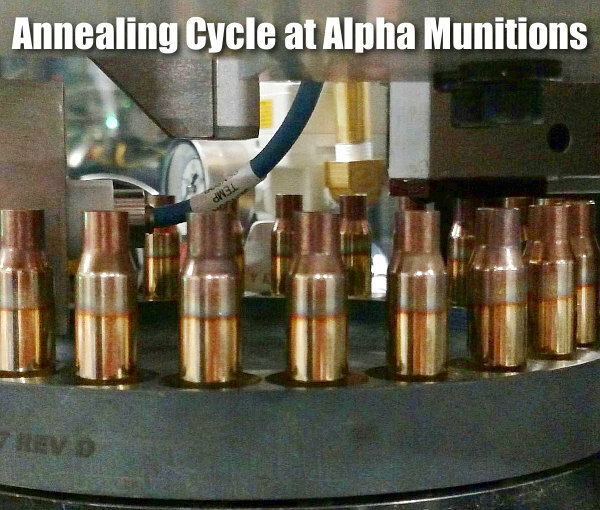 The new, mobile-friendly website offers comprehensive information on Winchester ammunition. 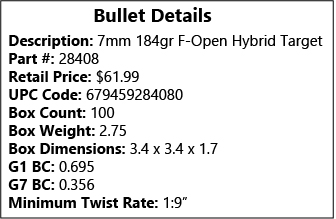 In addition, the upgraded Winchester website now boasts a full-featured, interactive Ballistics Calculator which runs on web browsers as well as mobile Apps. 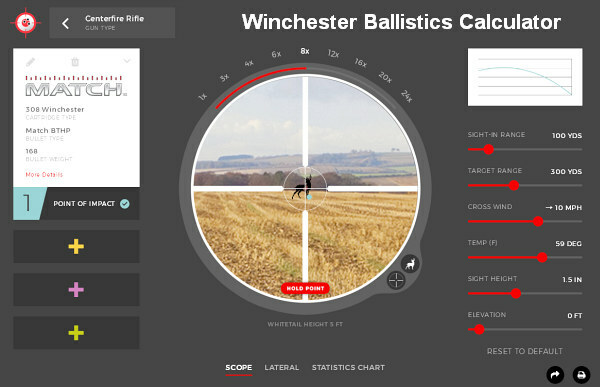 This new Ballistics Calculator offers an innovative “Shooter’s Eye View”, shown above. You can change the magnification level on the “scope”, and adjust variables (such as temp and range) using the red sliders. Try it out — it’s fascinating to see how the calculated Point of Impact moves as you adjust the sliders. 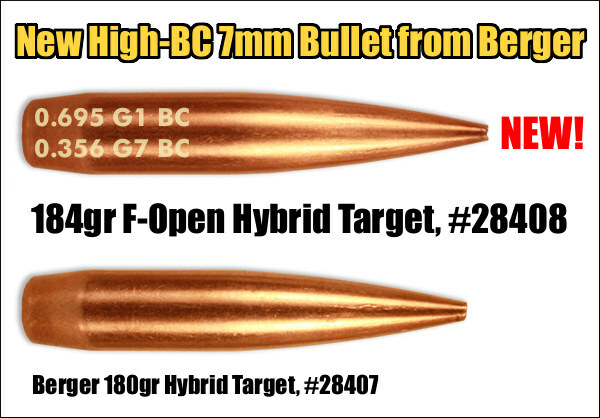 — Calculator includes library of Ballistic Coefficients. — Calculator offers visual graphs showing trajectories — with calculated point of impact as well as trajectory curve chart. — Calculator variables include sight-in range, target range, air temperature, crosswind speed, sight height, and elevation. — Calculator offers side-by-side comparisons among five separate rounds. — Calculator offers detailed statistics chart for fine-tuning your shooting. 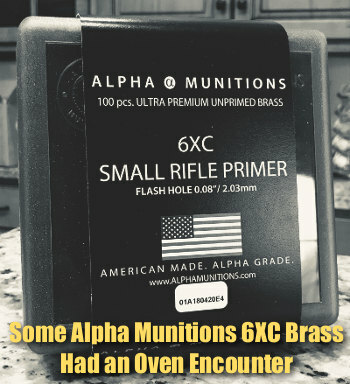 — Calculator can print handy, small Drop Chart you can attach to your rifle. 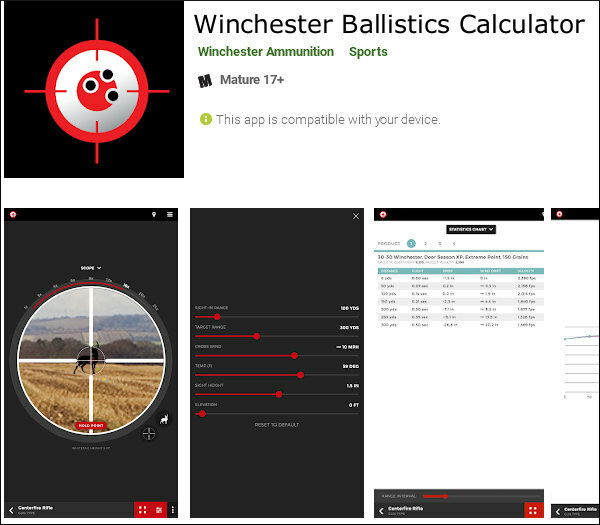 The Winchester Ballistic Calculator is available as a free download for iPhone and iPad through the Apple iOs app store, and for Android phones and tablets through Google Play. 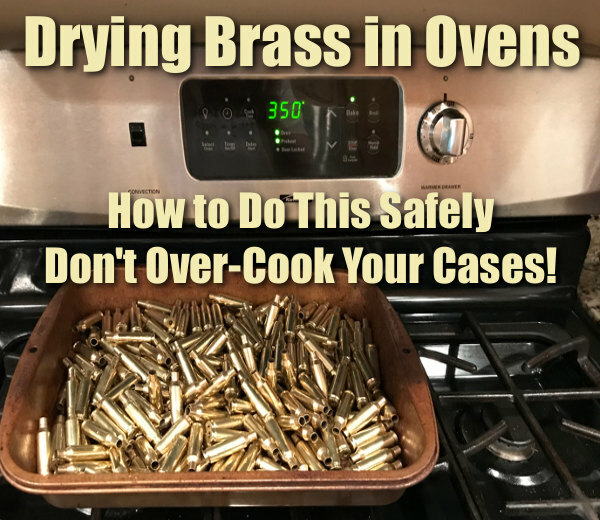 Share the post "New Interactive Ballistics Calculator from Winchester"